In News: The leaders of North and South Korea will meet on April 27 for the first time since 2007. 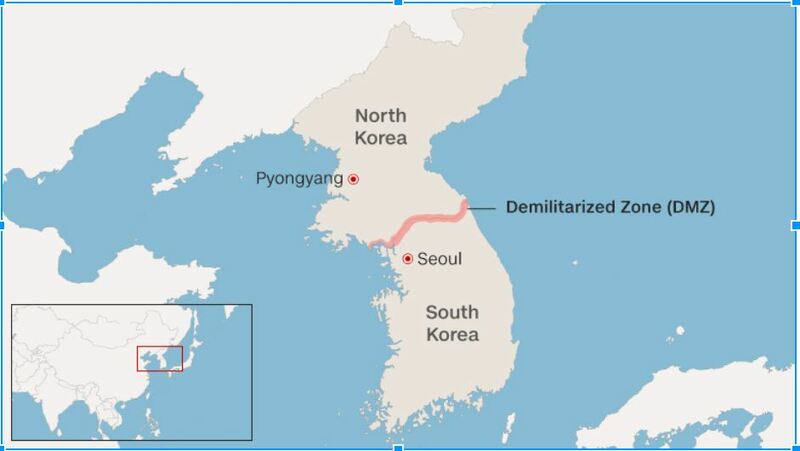 The landmark meeting between President Moon Jae-in and Kim Jong Un will be held at Freedom House on the southern side of the Demilitarized Zone (DMZ). A summit on April 27 will be only the third time that the leaders of the divided Koreas have met in the 65 years since the end of the Korean War. It comes in sharp contrast to 2017 when the peninsula appeared to be barreling toward conflict, with Kim overseeing a string of missile and nuclear tests and Trump promising “fire and fury” as Pyongyang threatened Guam, Hawaii and even the US mainland. A realization has dawned upon South Korea to reach out peacefully to North Korea, and not to contain and change the regime. North Korea has reciprocated very well. Kim Jong Un has emerged as the best strategist of all the major powers that were playing this game. He has been able to manage China, US, North Korea. This inter-Korean dialogue is definitely welcome given the earlier circumstances from the last few decades. Inter-Korean relationship: Two leaders are willing to come together, and resume and update the sunshine policy followed in and before 2007. Why: Kim may be hoping to offer President Trump a “freeze” of the North’s nuclear testing program that the U.S. president could then point to as the outcome of the summit. What would it mean: A “freeze” on the testing of North Korean nuclear weapons would leave the nuclear threat to our allies, our overseas bases, and the U.S. homeland in place. It would allow Pyongyang to continue to produce fissile material for nuclear weapons, build new nuclear weapons and missile delivery systems, improve its nuclear weapons and missiles through non-kinetic testing, and even construct additional facilities to produce more nuclear materials. Why did the USA become involved in the Korean war? Discuss the consequences of the involvement.